Today's post is a guest post cookbook review from our office's fantastic RD Rob Lazzinnaro. 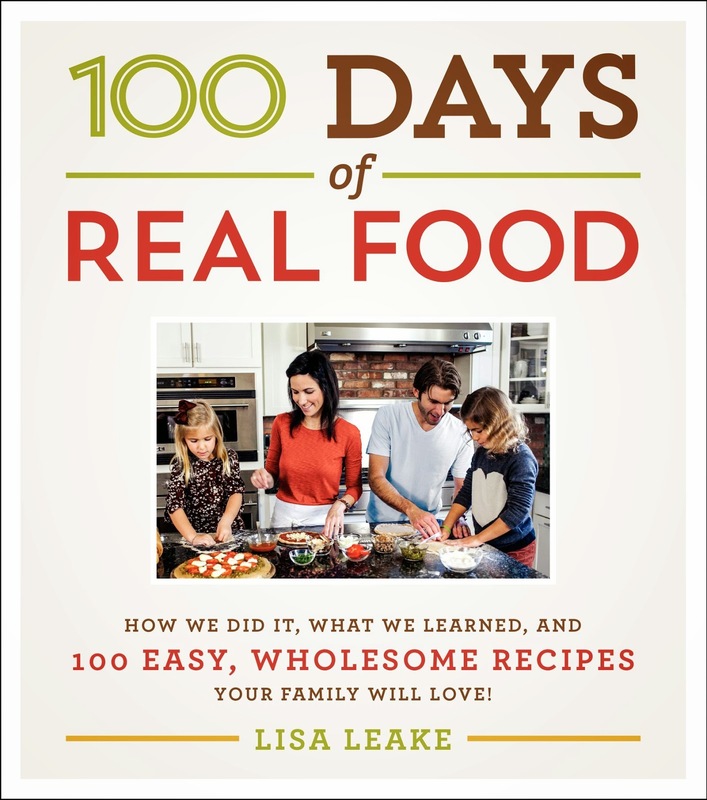 Full disclosure: I was provided a free copy of Lisa Leake's 100 Days of Real Food by Dr.Freedhoff to review, and I have no ties to the author. Are the recipes attainable, nutritious, and is nutrition information provided. If the cookbook has nutrition tips (which many do these days) is the information accurate and would I be comfortable recommending it as a registered dietitian. Let’s start with praise. Overall this is an excellent book with a great message and some excellent recipes. Its central message is one we all still desperately need to hear, which is to cook more, eat more whole foods, and rely on highly processed foods less. The message is stated clearly from the book’s get-go - we eat too many highly refined and ultra-processed products. Why is that significant? In depth, eating more processed food often means consuming portions deceptively high in calories, ingredients that are proven harmful to our health (trans fats), and foods that are often devoid of essential nutrients. “Packaged foods made with no more than five unrefined ingredients. (based on Michael Pollan’s food rules). Dairy products like whole milk, unsweetened yogurt, eggs, and cheese. Breads and crackers that are 100 percent whole grain. More a product of nature than a “product of industry”. " The book shines in its practical “how to” managment tips, and particularly in the chapters Getting Your Family On Board” and “Food Budget Tips and Meal Plans. 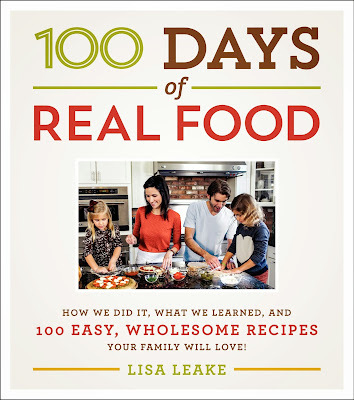 The last half of the book includes the 100 recipes, and the majority are enticing, and more importantly, not intimidating . Without question most parents will especially enjoy the lunch box recipe ideas for kids. With respect to nutrition within the recipes, Leake is not a believer in counting calories or macronutrients, but I am, so I put some of her most indulgent recipes to the test. Essentially, what that means is that the book’s most indulgent meal would be ~800 Calories. The rest of the recipes tend be much less caloric and fall somewhere between 200-300 calories per serving. For me this hammers home two points. When you cook at home from whole ingredients the majority of your meals will naturally fall within a reasonable calorie range and consequently tracking calories isn’t as necessary as it would be were you to be assembling boxes and hitting restaurants rather than cooking. Not all meals are created equal and just because they are cooked from scratch some meals will still fall into the eat less often category and so if your recipe sounds indulgent, it may be worth crunching the numbers. Unfortunately, Leake’s solid nutritional advice is at times followed up by non-evidence based statements. As many in the real food (whole food) movement are, Leake seems guided in part by natural fallacy - the belief that only something “natural/real” necessitates healthy and good; everything else is a compromise. I worry that this false construct and focus may lead some to ultimately struggle as not everyone has the budget, access or interest to cook the majority of their food, let alone do so with organic, grass fed, and speciality ingredients. I can’t help but wonder whether some of the fierce attacks on home cooking of late by journalists and bloggers as being elitist, aren’t bolstered some by recommendations that in a sense, put too many rules on home cooking. If you'd like a copy, here's an Amazon Associates link to pick one up.